The answer to the question which still gets mumbled around Riverside without a satisfactory answer is May 1986. That’s when the elephants came down. Twin elephants stood atop the Wood & Brooks building at Kenmore Avenue and Ontario Street for much of the 20th century. The massive sheet metal and neon pachyderms towered over the neighborhood as a reminder of what was being manufactured and assembled there — the ivory keys and keyboards of some of America’s finest pianos. The plant opened in 1901. Eventually, as the world’s largest keyboard manufacturer, Wood & Brooks was turning out more than 100,000 every year from the Riverside facility for use in instruments created by Steinway, Baldwin, Wurlitzer and many others. By the early ’50s, business was still booming, but the elephants were a reminder of days gone by. Wood & Brooks was still among the world’s largest ivory importers — taking in 25,000 pounds every year, but 90 percent of all piano key coverings were plastic. By 1970, much of the assembly work for the keyboards had been sent to Mexico, and by the mid-’70s, Wood & Brooks had played its last song. 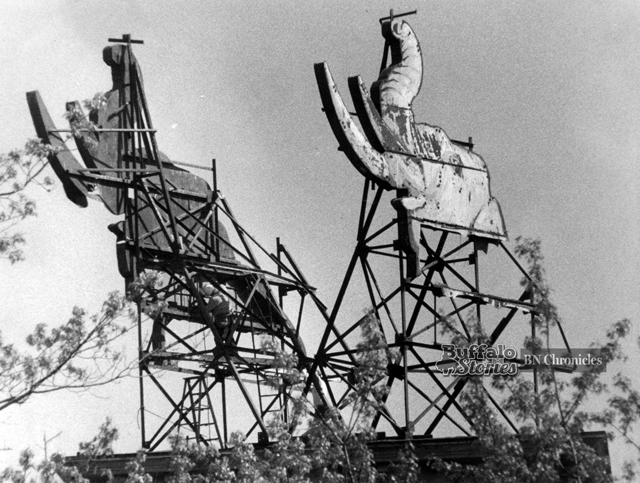 After more than a decade of neglect, the once colorful elephants were more rust than paint, and the once bright neon had stopped glowing. Many Riverside neighbors hated to see the elephants go, but the consensus was it was far more difficult to see the industry leave in the first place. 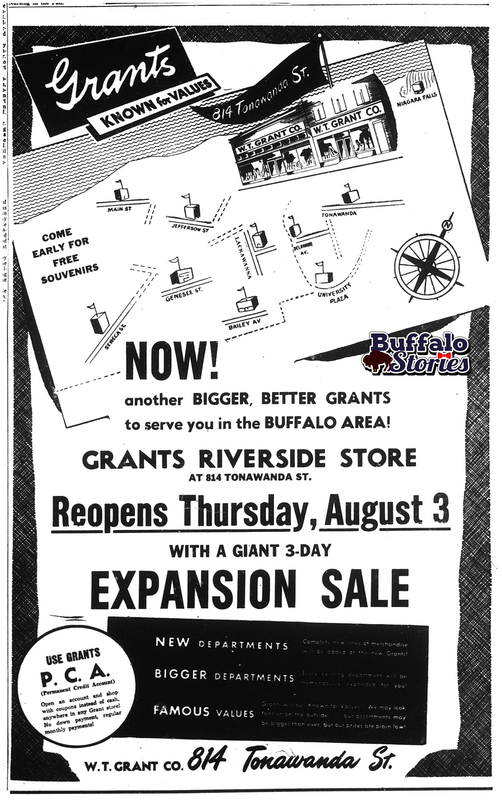 Grants — which was, as the company’s slogan said, “known for values” — opened its 10th “bigger, better” Buffalo-area location 65 years ago today on Tonawanda Street in Riverside. The national chain of variety stores expanded in Buffalo as the city’s population did and was a fixture in many early strip malls, such as University Plaza and in the retail build-out at Main and Transit. The national chain filed for bankruptcy in 1976. 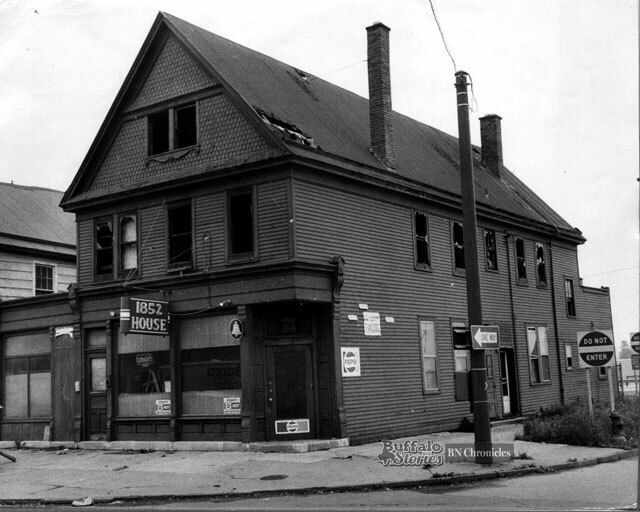 This Grant’s location is now occupied by the Riverside library branch.